Former Polish Prime Minister Donald Tusk was reelected late last week to a second two-and-a-half year term as the President of the European Council despite opposition from the government of his native country. The ruling PiS party, arch-rivals of the PO party which Tusk headed from 2007-14, fought a strenuous and bitter campaign against Tusk, promoting instead the little-known MEP Jacek Saryusz-Wolksi. In the end, though, Tusk won out 27-1, supported even by Hungary’s Viktor Orbán – usually a staunch supporter of PiS. “Congratulations,” Polish President Andrzej Duda wrote in a terse letter to Tusk afterward, “on obtaining the support of most European Union countries.” Meanwhile Foreign Minister Witold Waszczykowski accused the EU of “cheating” and warned that Poland would take a “negative” stance toward more EU initiatives in the future. Poland joined the EU in 2004, a decision still supported by a large majority of Poles. It remains the biggest beneficiary of financial aid from the EU, receiving billions of euros annually. The Polish government is seeking to extradite Michael Karkoc, a 98-year-old Ukrainian-American living in a nursing home in Minneapolis, Minnesota for atrocities committed during the Second World War, The New York Times reports. In 1943, Karkoc was a leader in the Ukrainian Self-Defense Legion, which collaborated with the Nazi SS in mass-killings in eastern Poland and in opposing the 1944 Warsaw Uprising. Karkoc admitted his involvement in his 1995 memoirs, but emphasized that the purpose of the group was to help Germany fight the Soviet Union. The charges are sought by the Commission for the Prosecution of Crimes Against the Polish Nation, affiliated with the Institute of National Remembrance. Germany considered pursuing the case as well, but decided against it in 2015 due to Karkoc’s age. 75% of couples pay for the weddings themselves, most of them splitting the bill. June, August, and September are the most popular months, while Saturday is the most common day to hold a wedding. 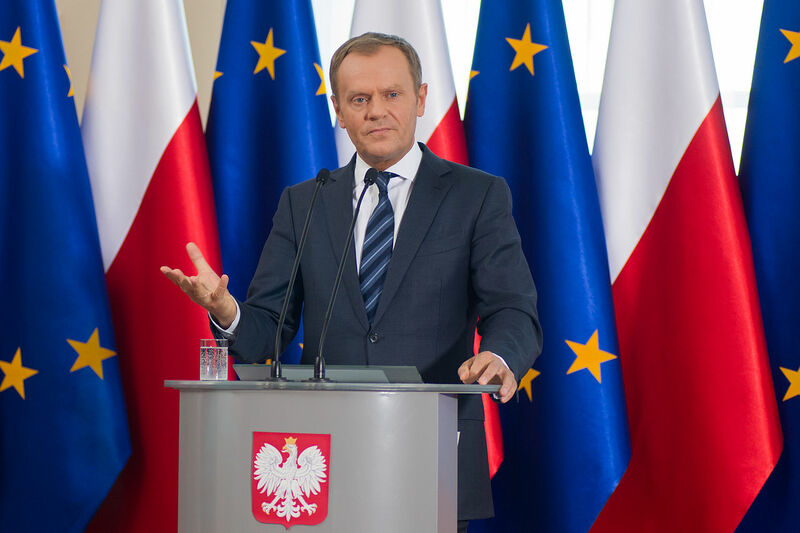 1 A popular Polish joke, as “Donald” [Tusk] has a longstanding rivalry with PiS leader Jarosław Kaczyński, whose surname evokes the Polish work for “duck” (“kaczka”). And speaking of ducks, here’s Chuck Berry doing his legendary duck walk. All these greats passing away.